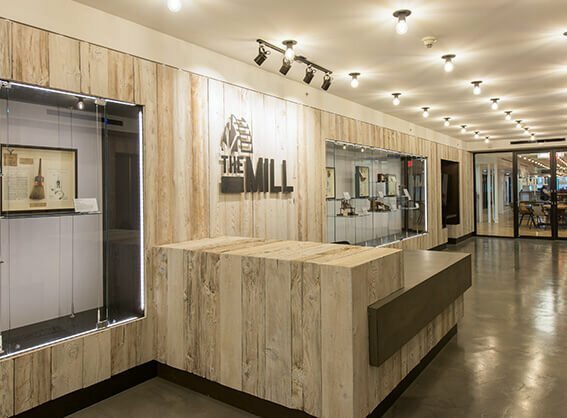 The Mill is home to range of businesses from freelancers to companies with 50+ employees. A monthly membership starts at the cost of a few lattes, and our offices are competitively priced. No other location gives you the best of all worlds. Community, support structures, large-company amenities for all businesses of all sizes. Our community membership is the entry point for most Mill members. 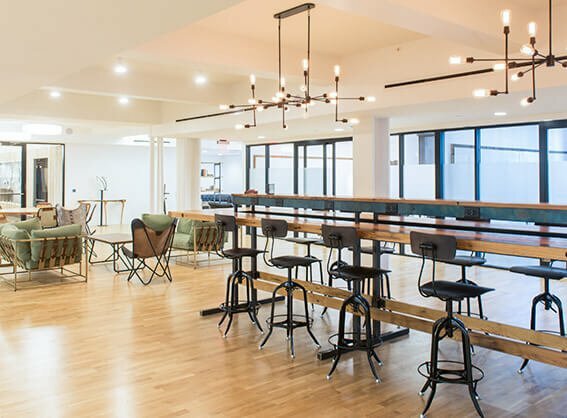 Costing no more than a few lattes a month, you get full access to the space, high-speed internet, meeting space, printing credits, and access to the community. Give yourself a place separate from home and away from the bustle of a coffee shop, where your work can finally get done. Community members get an access card and free reign to drop in and drop out as desired. There are no "5 days a month" or any other quota to keep track of. Community members get steeply discounted rates towards renting conference rooms or event space. Put a professional face to your business and bring your clients to The Mill for meetings. For an additional $15/month, community members have the option of renting an onsite locker to store their computers and other personal belongings. No more forgetting your laptop charger at home! 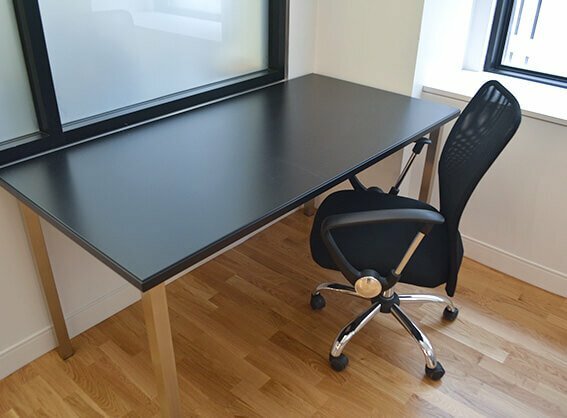 Take your membership a step further with a private desk. Desks are available in shared offices, or in the main work area. The desk is your space to do with as you please. Setup a desktop, bask in the clutter or keep it spartan and clean, it's up to you. Desk members get 24-hour access to the space. Your badge will allow you to come and get your work done any time, whether you're an early bird or a night owl. In addition to steeply discounted rates, desk members get monthly credits towards conference room and event rentals. Hold that weekly status meeting in style! All desk members have the option of renting an onsite locker to store their computers and other personal belongings at no additional charge. All office members and employees get 24-hour access to the space. Your badge will allow you to come and get your work done any time, whether you're an early bird or a night owl. 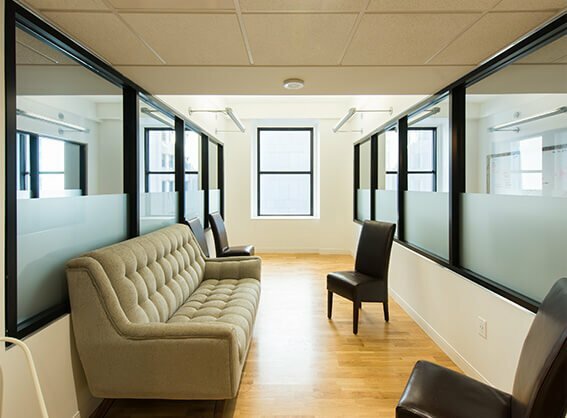 No matter whether your business is a one-person endeavor or dozens of employees, we have an office space to suit your needs. Working out of your home and need a business address, or need an address for that new idea or nonprofit? The Mill can provide virtual office services that give you an address in the heart of downtown Wilmington, Delaware. We'll accept and receive packages and standard mail, as well as scan and electronically send the letters to you, or forward the physical mail to another address. You tell us your business hours, and we'll be there to answer the phone. Your business will have a voice on the other end and can handle incoming inquiries. Your phone number will be yours and yours only, no shared lines or 1-800 nonsense.